Pack of 20 traditional shelf brackets. 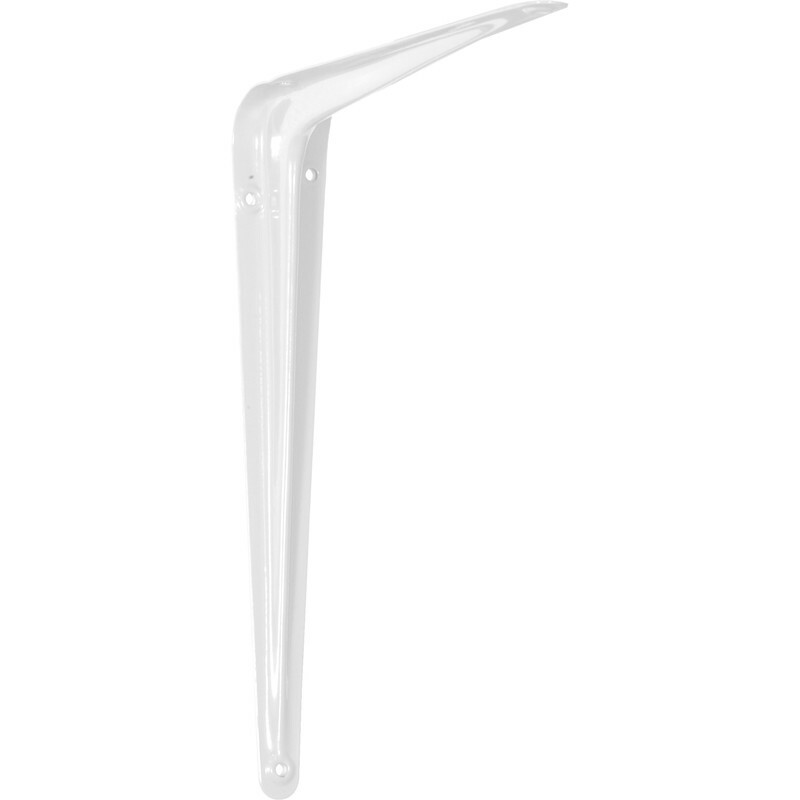 London White Shelf Bracket 150 x 125mm (20 Pack) is rated 3.9 out of 5 by 54. Rated 5 out of 5 by Taken6years from Good white Brackets Good standard white shelf brackets but a little overpacked. They come 20off in a cardboard box fine. Each bracket is packed in its own plastic sleeve - unnecessary and not helping to save the planet! Rated 5 out of 5 by Philt diy from Good product and packaging I was impressed with the uniformity of the barckets and the quality of thier paint finish. Also, they were well packaged with each unit in the 20 unit box being individualu sleeved with polythene. They were just what I needed to put up some 150mm shelves. Rated 5 out of 5 by Hamilton from Very sturdy It was the ideal bracket I needed. Very satisfied.